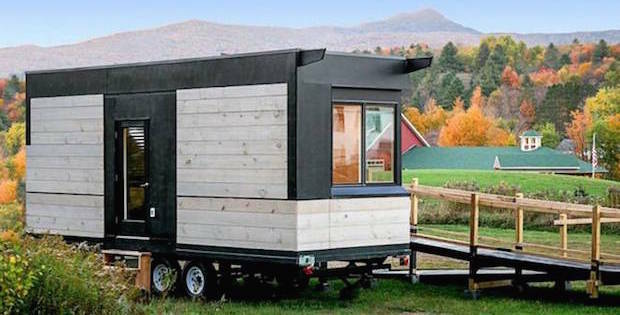 Dubbed the Wheel Pad, the home is a one-level structure on a mobile chassis base, which means that it won’t require permitting in most areas of the United States. 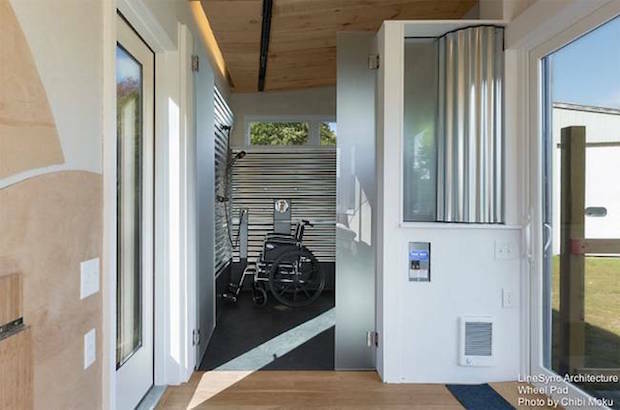 Wilmington, Vermont firm LineSync Architecture designed this 200-square-foot tiny house prototype for those with immobilized elderly family members who want to age in place, in close proximity to those who can provide loving support. 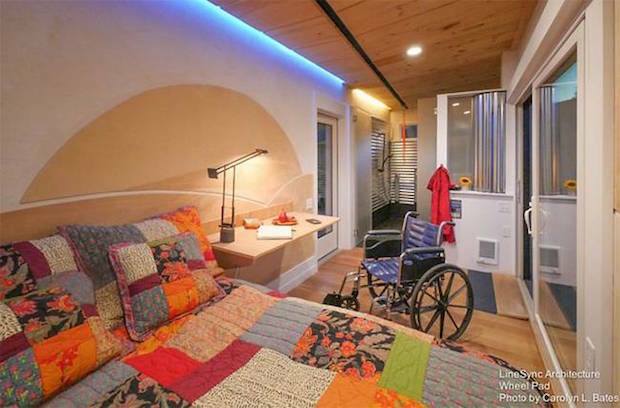 It could also serve as a temporary home for people with mobility issues, allowing friends and/or family to provide support until permanent accessible housing can be arranged. 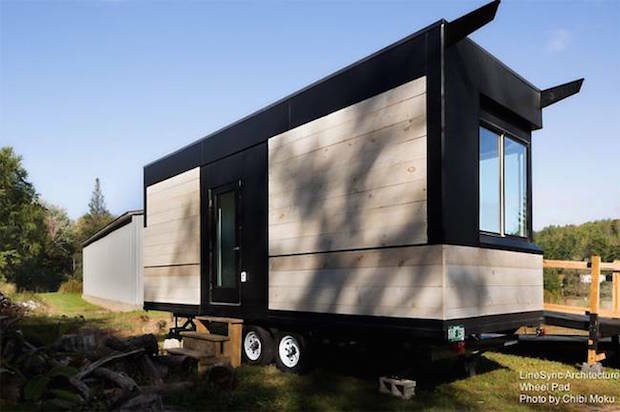 It can also be attached to an existing home. 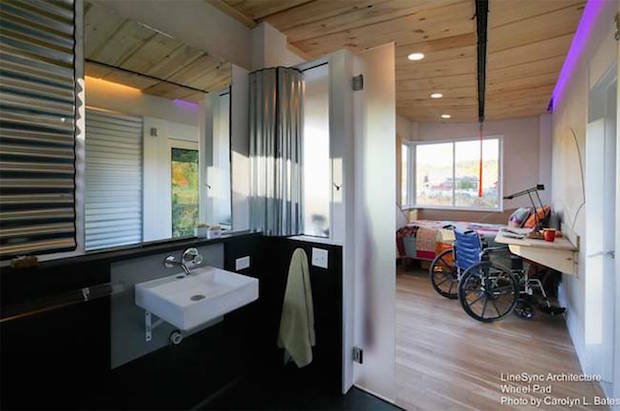 This tiny accessible home comes equipped with an accessible bedroom and bathroom. 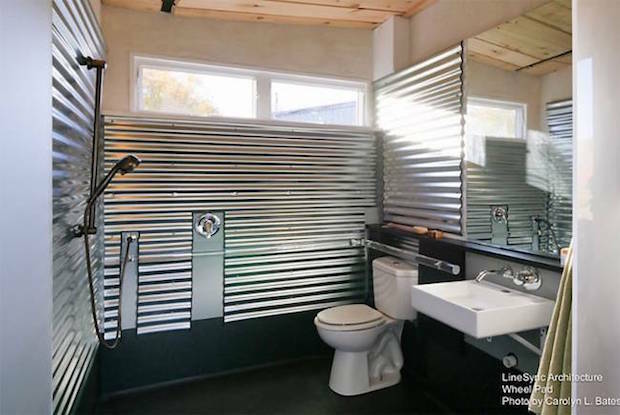 Its roll-in shower and toilet are designed to be easily maintained. 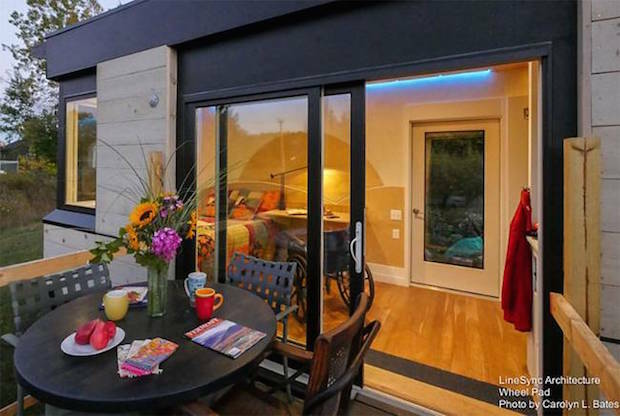 All control switches are at wheelchair height, and a pair of extension cords fully powers the heating, lighting, hot water and a waste pump. With these thoughtful provisions, the wheelchair users can manoeuvre independently and feel at ease.